Odyssey batteries, with an eight year design life saves you time and money because you do not have to replace your battery as often. It is also the only battery that is capable of delivering a large number of deep cycles ­ up to 400 when fully discharged or up to 500 when discharged to 80%. Plus, the battery is specially designed for high vibration applications. Unlike conventional batteries that need to be recharged every six to twelve weeks, the Odyssey battery will maintain up to 50% state of charge after 2 yrs if stored at room temperature (77ºF). At temperatures lower than 77°F, storage times will be evenlonger. 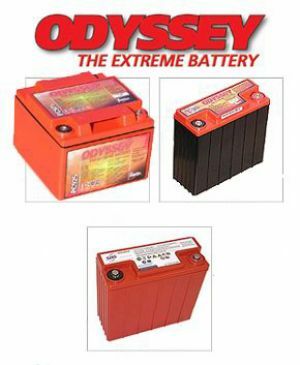 The cranking power of Odyssey batteries is double to triple that of equally sized conventional batteries, even when the temperature is as low as -40ºF.